At Spartan Van Lines, Inc. we aim to be your choice of local moving companies, as well as interstate moving companies and national moving companies, due to the premiere service and guaranteed pricing that we provide. Local moves are defined as a move within the same state where the distance between the customer’s point of origin and destination is up to 100 miles. Local moves are charged on an hourly basis. Need A Quote For A Local Move? We are happy to provide you with our hourly rate as well as the minimum amount of hours we require; however, per the Public Utility Commission regulations we cannot provide you with an estimated amount of hours for your move over the phone. The “foreman” also known as the crew leader will do a walk through with you prior to the beginning of the move and will provide you with the maximum amount of hours “Guaranteed Not to Exceed” estimates. You will then pay only according to what the move actually took and up to the “Not to exceed”. We recommend setting an appointment for a Free in Home Estimate with one of our representatives. We will come prior to the moving date to meet with you in person and go over all details of your move. 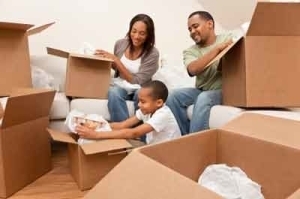 This allows us to customize the move to your needs and make sure that the plan for your move is well set and organized. Our estimators will make sure you have the right expectations and that you receive a “Not to Exceed” price for your move prior to your moving date. With our Gold service all you need to do is to let us in, sit back and relax while we take care of business. Our flat price hourly rate will include Full packing service – all labor, all materials boxes, eco-crates and wrapping supplies. 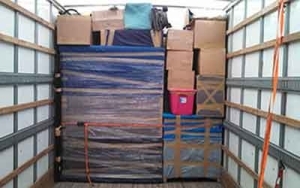 Full unpacking service and removal of all boxes, Eco crates and debris. If you have specialty items such as pianos, pool tables or hot tubs to move, please let us know so we can send the right men and right equipment for the job. 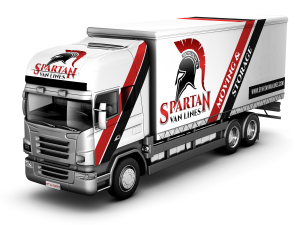 At Spartan Van Lines we have NO extra charges for moving blankets, tape or shrink wrap. And we do not charge for fuel, stairs or long carry. All moves include a dedicated team of professional movers. Spartan Van Lines, the top local moving company in California.